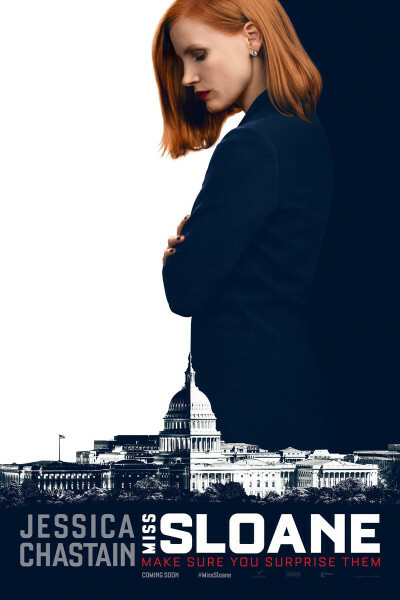 I'll make this one short and sweet, quoting Jimmie Walker by saying that Miss Sloane is "dy-no-mite!" Do NOT let IMDB's debbie downer 5.9 throw you. And gosh, have I missed Sam Waterston. Plus, how can you go wrong with Lithgow, Chastain, Mark Strong, and Gugu Mbatha-Raw (who is on an absolute tear, having now starred in Concussion, Free State of Jones, Jupiter Ascending, Beauty and the Beast, a new Cloverfield installment, Belle, and Larry Crowne)?